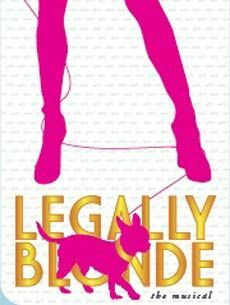 Legally Blonde is now showing at the Morgan Theater Nov. 6-10. If you’re familiar with the 2001 movie “Legally Blonde,” you may remember the line from the movie spoken by the main character, Elle, “This is going to be like senior year, only funner!” Conveniently, this is a great way to describe the 2007 musical based on the movie, which premiered at Utah State on Nov. 1. “Legally Blonde”, with music and lyrics written by Laurence O’Keefe and Nell Benjamin, is a colorful, rollicking musical that, according to student director Luke Shepherd, is “unparalleled in its high energy and fast-paced performance style.” It follows the story of Elle Woods, a California valley girl who follows an ex-boyfriend to Harvard Law School in an attempt to win him back. With seven Tony nominations under its belt, the musical is of a higher profile than some of the recent performances at USU in the recent past. “Legally Blonde” is a modern musical (it debuted on Broadway in 2007) and its youth is reflected in some writing and pacing differences from older musicals. Because of this continuous flow, the cast and directors had to be creative about transitioning from scene to scene. The theme of the 2012 – 2013 theatre season is “An Impulse to Soar.” According to Risch, that theme is illustrated in the show’s lead female character, Elle Woods. “[Elle] is caught in a defined role that seems appealing to her, but doesn’t allow her to blossom as a woman. Although she attends Harvard Law School for the wrong reasons, she goes through a process of self-discovery that helps her to find her way in a world that tends to categorize people. At the same time, by holding onto her best qualities, she retains her individualism and inspires those around her to do the same,” Risch said. For those looking for a fun way to spend the night or need a creative idea for an awesome date night, “Legally Blonde” will play at the Morgan Theatre Nov. 6-10. Previous Previous post: Kyler Fackrell: one of USU’s best freshmen athletes– ever?